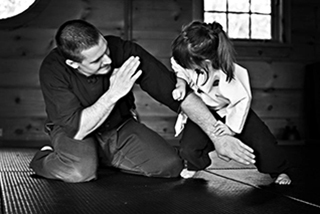 This content was written for parents by Martin Patenaude, Senior Instructor at Patenaude Martial Arts. If your parenting experience is anything like mine, I know you’re struggling with many issues right now… Grades, bullying, learning issues, focus at school, drugs, negative influences, weight issues, poor self-esteem, low self-control, impulse control, and just play getting them to listen to you! I’m not trying to say I’m an expert on parenting… but what I am saying is that I am an expert on children – specifically, how to help kids become happier, more confident and more willing to make the right choices in difficult circumstances. Hi, I’m Martin Patenaude, and I’m the Senior Instructor at various Patenaude Martial Arts locations in Ontario and Quebec. 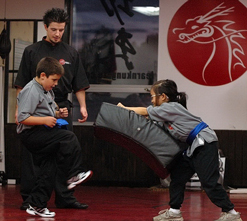 At Patenaude Martial Arts, we’ve been employing Fang Shen Do to help parents raise the happiest, healthiest kids on the block – for over 35 years. In that time, there are certain insights we’ve discovered about how to help kids succeed – not just in school or at home, but in the very real arena of life. If you’ve watched the testimonial video on this page you’ve seen for yourself the kind of feedback we get each and every week from parents just like you. These are real people with real kids facing the real issues we all know about… many of which I’ve mentioned above. Although we certainly aren’t miracle workers, we are very skilled and knowledgeable at what we do – which is helping you make life a little better and a lot safer for your child. We don’t make this obvious; it’s actually a part of the way we teach our children’s martial arts classes. Every child goes through a process of learning, demonstrating what they learn, and then earning recognition for their work and achievements. Most children really have no idea what they’re capable of, and it’s our job to give them opportunities to break through their limitations. Once a child realizes their own vast potential, there’s really no limit to what they can accomplish. Having a “commitment to excellence” is not just lip service at Patenaude academies. After just a few months here, your child will actually learn to increase their expectations for what they can achieve. These days there are very few environments where a child is exposed to that sort of winning attitude all the time. But once your child catches what we call the “excellence bug” they’ll continue to strive for personal improvement. And due to the constant positive feedback and support they receive they’ll continue making the right actions and choices… perhaps even for life. This training also results in your child learning to choose better behaviors as well. We pride ourselves on being “good finders” and not “bad finders” when it comes to teaching kids martial arts. Instead of looking for what’s not right, instead we reinforce what your child is doing well at any given moment. This subtle shift has an extremely powerful effect on your child’s behavior… and their willingness to make positive choices. We teach each child how they’re personally responsible for their own actions (and also the consequences and rewards that result). Although we do use verbal lessons and cues to teach this, we also do this by providing them with real learning experiences so they realize their choices impact their future. 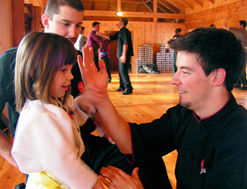 What if the Patenaude Martial Arts children’s martial arts program works as well as they say it does? What if it works as well for my child as it does for the parents in the video? And, what kind of impact could that have on your child’s life? Only you have the power to discover the answer to those questions for yourself, and I’d like to make it as easy as possible for you to do so. That’s why I’m offering you the opportunity to experience our programs at no risk for 30 days. 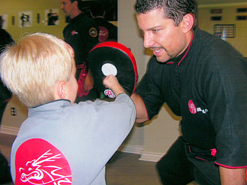 If you are unsatisfied at any time during the first thirty days of your child’s experience at Patenaude Martial Arts here in Ontario and Quebec, I will refund your money – no questions asked – other than what we could have done to improve your experience. So please, allow your child this chance to become the happiest, healthiest kid on the block. And we promise to let you take full credit for the results!